All gemstones used in my jewellery are lab created or CZ. This allows me to embed the gem into the silver. 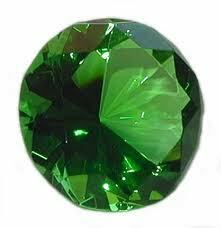 (Please note: Emerald stones can not be embedded. They require a setting which is an extra cost) To include an embedded gemstone is an extra $25.00. 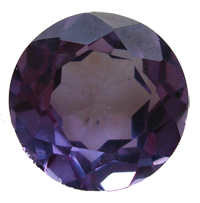 If you would like a natural gemstone to be set into your piece of jewellery this can also be arranged. Please contact me for details. Adding a birthstone, or favorite coloured gemstone to your pendant will further enhance your customised jewellery keepsake. Some gemstones are even believed to have certain healing properties as described below. - Stimulate success in business. - be the symbol of vitality and royalty. - be a symbol of purity and morality. - to be the 8th wedding anniversary and it is sometimes considered an alternate gemstone for the 5th anniversary.